Come join us for a box lunch and a double tour of the Compton Family Ice Arena at the University of Notre Dame. 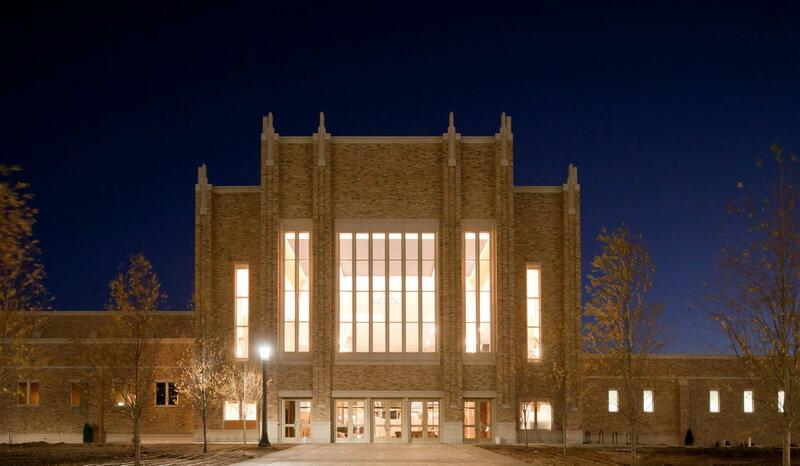 This impressive 5,000 capacity facility is home to Notre Dame's Fighting Irish hockey team. The Charles W. “Lefty” Smith Jr. Rink, the NHL-size playing surface of the main arena, honors the first coach in the Notre Dame hockey program. The Olympic-size rink can be divided into two smaller rinks to be used by the Irish Youth Hockey League (IYHL), the USA Hockey Athlete Development Model (ADM), figure skating, public skating, and intramural broomball. The building also houses numerous offices, locker rooms, and training facilities. The 212,000 sq. ft facility was designed by Rossetti of Southfield, MI and built by Barton Malow. Doors open at 11:30 AM, head downstairs, there will be signs. After lunch, we'll tour the "front-side" of the arena then go behind the scenes for a MEP tour hosted by UND mechanical engineers and ASHRAE members Jamie Bontrager-Singer and Bob Werner.